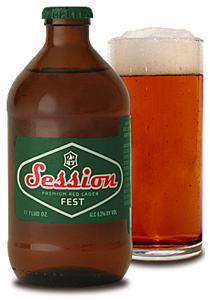 HOOD RIVER, OR – Full Sail Brewing is excited to announce a new addition to the Session family of beers — Session Fest. It’s a holiday beer that comes in a stubby little bottle, makes a great stocking stuffer, and is the perfect beer to leave by the fireplace for Santa or to share with friends and family who may appreciate an approachable, yet flavorful holiday beer. “From our Session Lager to our bourbon barrel-aged beers, balance and elegance are our defining brewery characteristics. We don’t brew our beers to win medals, but we are honored when we do,” added Firmat. Since its release in 2005, Session Premium Lager has earned eight gold medals and was recently voted “The Best Craft Lager” by craft beer lovers in a poll conducted by The Full Pint. In 2007 it was named The World’s Best Premium Lager at the World Beer Awards and America’s Best Premium Lager at the 2010 World Beer Awards. 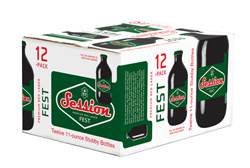 Session Black, released in 2009, has since earned 6 gold medals and was named “One of America’s Best Beers” by Men’s Journal Magazine. Both of Full Sail’s Session lagers have truly earned their place at the bar. Not to mention the barbeque.